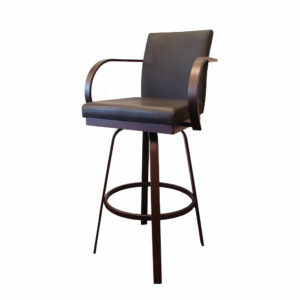 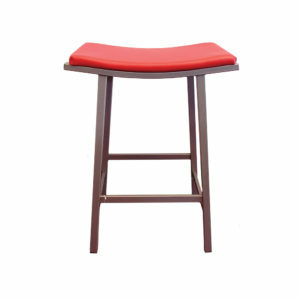 One of our most popular stools, the Ronny, features a nice back support for a short backed chair. 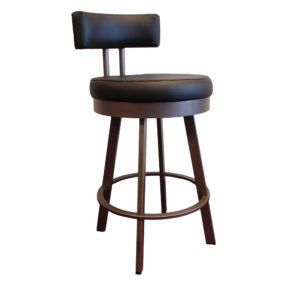 The top of the bak of the chair will sit almost even with most countertops. 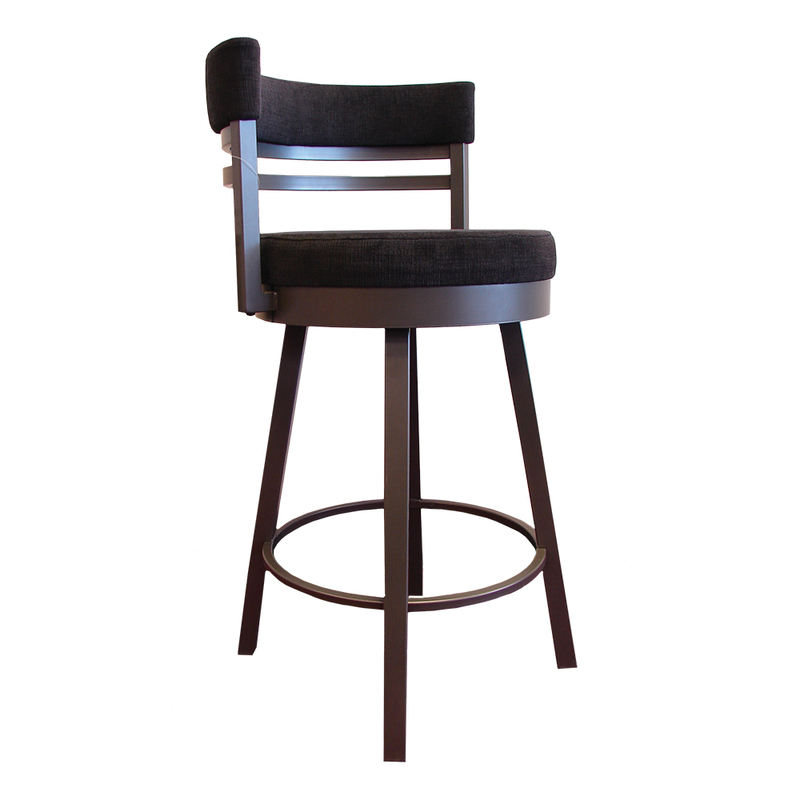 The cushioned sides to the back are easy on your counters too! Available in 26", 36" & 34"